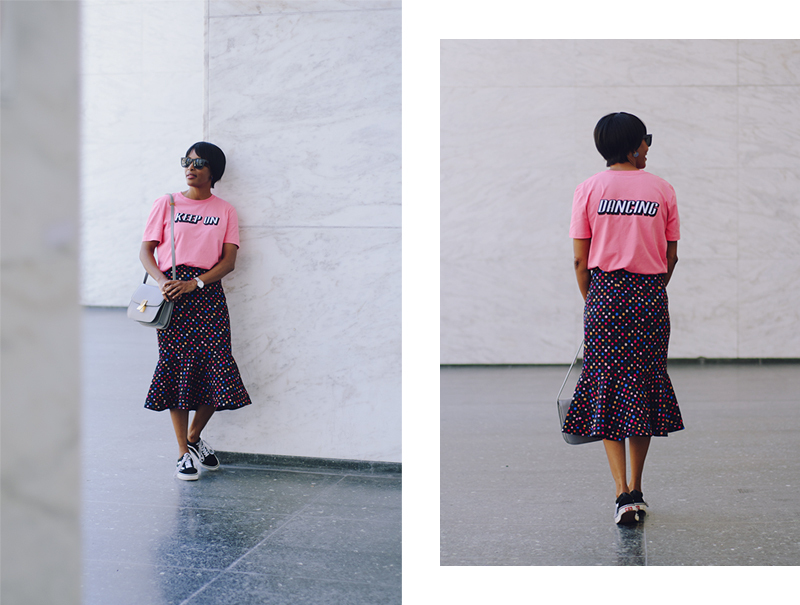 i’ve been going polka dot crazy recently. it started with this slip dress last year, next this jacquemus shirt, and then this proenza schouler shirt (with manhole covers as dots). in one of my browsing-the-net-and-watching-law-and-order evenings, i stumbled up this saloni skirt and oh em gee did i have heart eyes. it kind of reminds me of the candy buttons that come on a paper strip…haha! 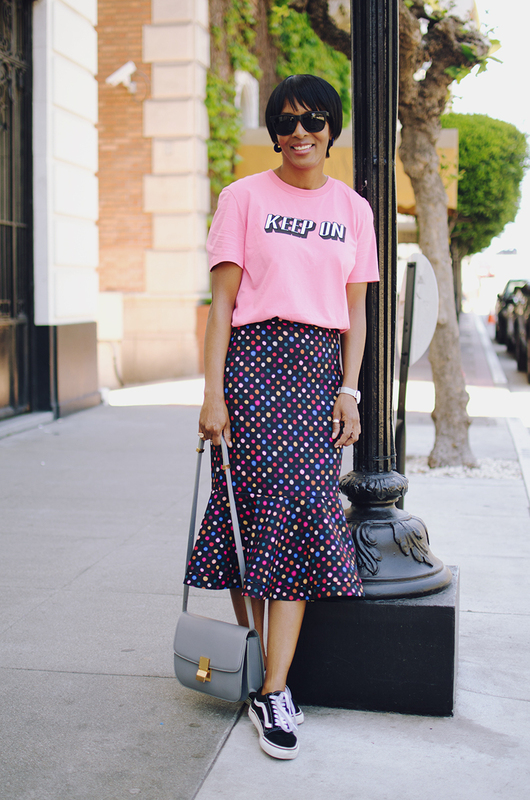 it’s one of those statement skirts that looks equally good with heels and a great top or sweater as it does with sneakers and a graphic tee as seen here. 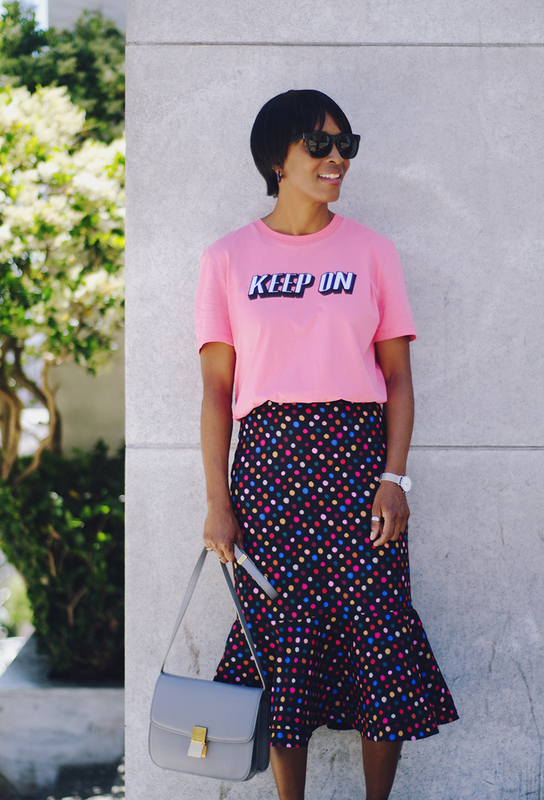 the skirt is made of a scuba-like fabric that holds you in, but is snug so size up—i’m wearing a uk 10/us 6. did i mention it’s 40% off right now at net-a-porter and nordstrom? 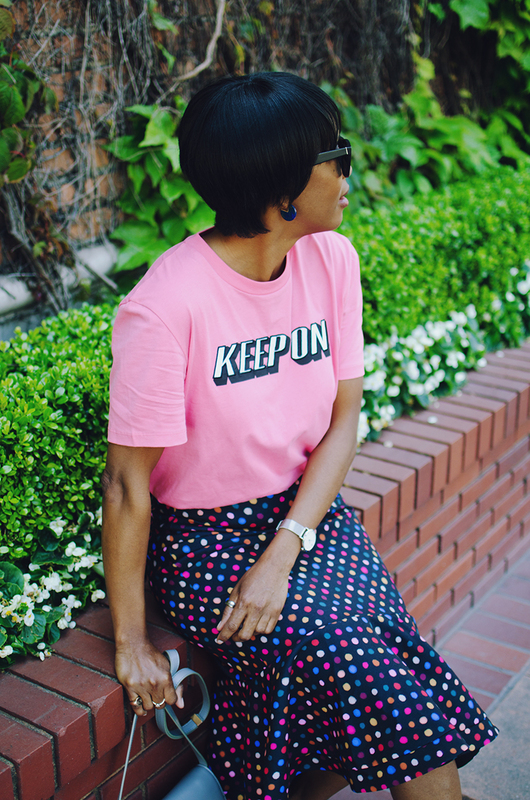 also on sale is this fun pink tee from sandro; i love the shadow typography and that the message is on the front and back. 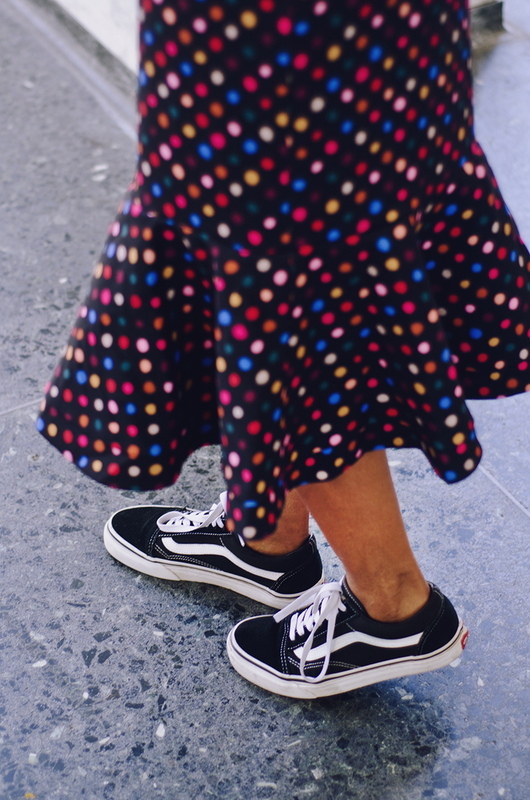 in terms of accessories, you know i’m into skirts and sneakers, so adding my trusty vans and a neutral bag to pull the look together. and while you’re perusing the sales, more dots: that proenza dotted shirt is also on sale, as well as this saloni dotted mini, this slipdress, this ruffled blouse, and a cute dotted bikini. Previous Post currently coveting: mango sale picks.